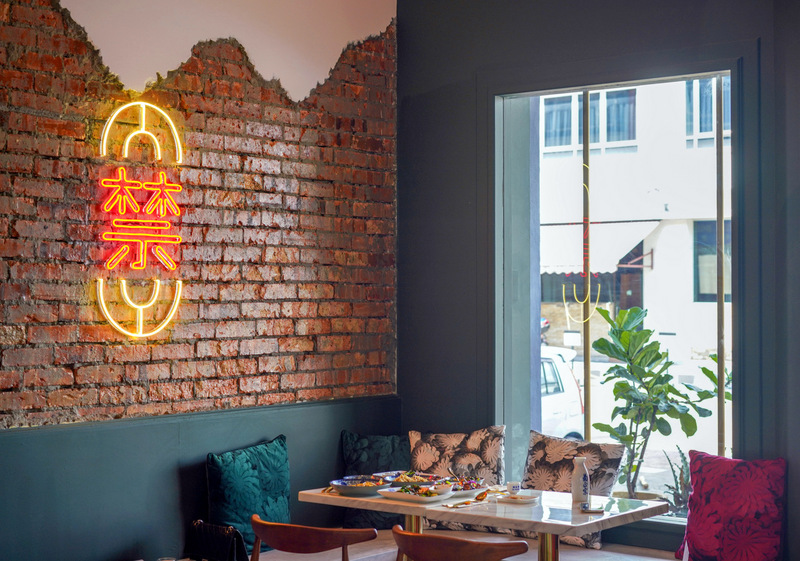 Forebidden fruit tastes the sweetest: Proving that there's no taboo in offering tasty new takes on traditional temptations, the kitchen here serves up modern Malaysian Chinese cooking with plenty of panache. Pork belly can be tenderly braised in herb reduction broth that recalls bak kut teh, rounded out by dried cuttlefish, chillies, onions, okra and steamed rice (RM24), or crisply pan-fried with pepper, complemented with capsicum and a splash of aged Chinese wine (RM17), for a satisfyingly soulful meal both ways. What we especially enjoy about Forebidden's recipes are their deep, layered flavours - the Rings and Heavenly Kings reign through a nuanced combination of grilled squid tossed with long beans, ladies' fingers, winged beans and eggplant, bound together in a rich, complex house-made chilli paste (RM20). While much of Forebidden's fare is meant for sharing, single-plate indulgences include noodles and rice platters: The former comprises choices of spaghetti and ramen, mingling perhaps with Hakka-style zha yuk, sliced black olives, lemon rinds, sun-dried tomatoes and white wine (RM25) or with smoked duck breast, wild mushrooms, garlic and olive oil (RM20), confidently fusing cross-border inspirations from Guangdong to Genoa. Alternatively, the salted egg fried rice, topped with a sunny side up and shredded salted egg yolk, is a pleasant order, paired with pickled slaw and keropok lekor (RM18 with prawns or chicken).